I was recently given the opportunity to try and review some products by a new brand called J.Cat Beauty! 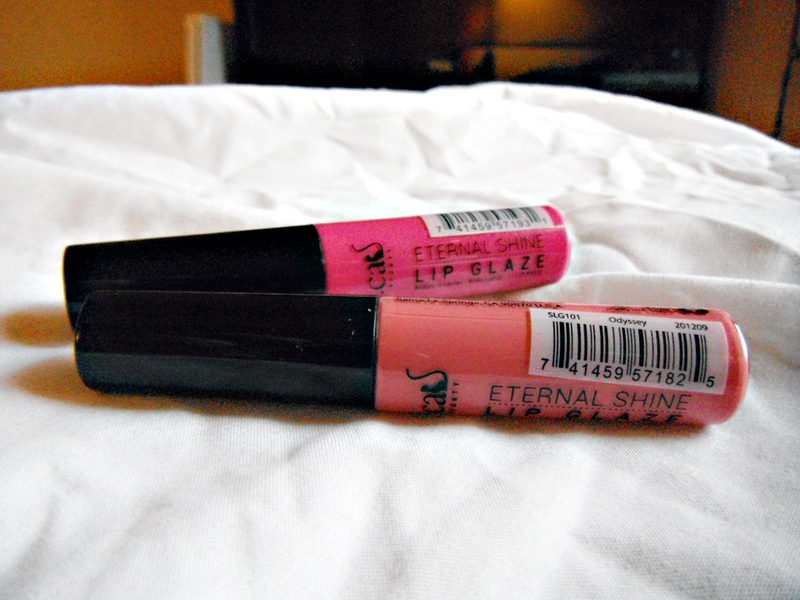 J.Cat aims to provide high quality color cosmetics at a very affordable price. All of their products are cruelty free and hypoallergenic. And they really do have affordable prices! Lipsticks and glosses are only $2.49 each, and all of their other products are similarly affordable, most falling under the $5 price point. Despite their low prices, they aim to provide hip, trendy shades and formulations. I was sent several products to review and I will be doing so over the next week or so. 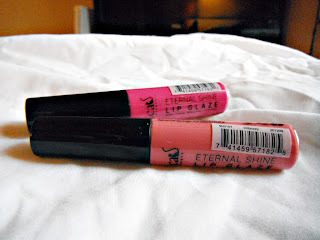 First up, two of their Eternal Shine Lip Glazes. 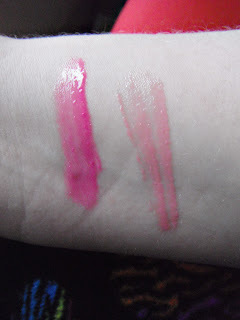 These are moisturizing lip glosses that contain Vitamin E oil and minerals, and promise a sheer pop of color. They come in 36 shades, which I find pretty impressive! 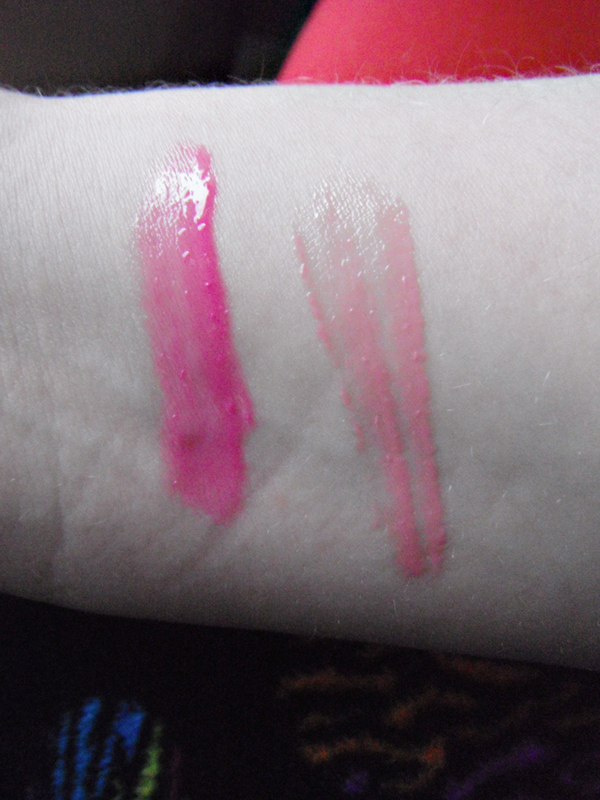 I received two: Rose and Odyssey. Rose is a vibrant, cool toned pink. It is super bright in the tube! 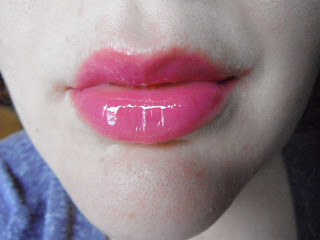 On the lips, it has a fair amount of pigmentation to it without being over the top. It could easily be worn for day or night looks. Odyssey is a lighter, more neutral pink. It is nice and very natural and is great for a daytime look. The formula on both is very good. It is thick enough to last on the lips, but it is not too sticky or tacky. 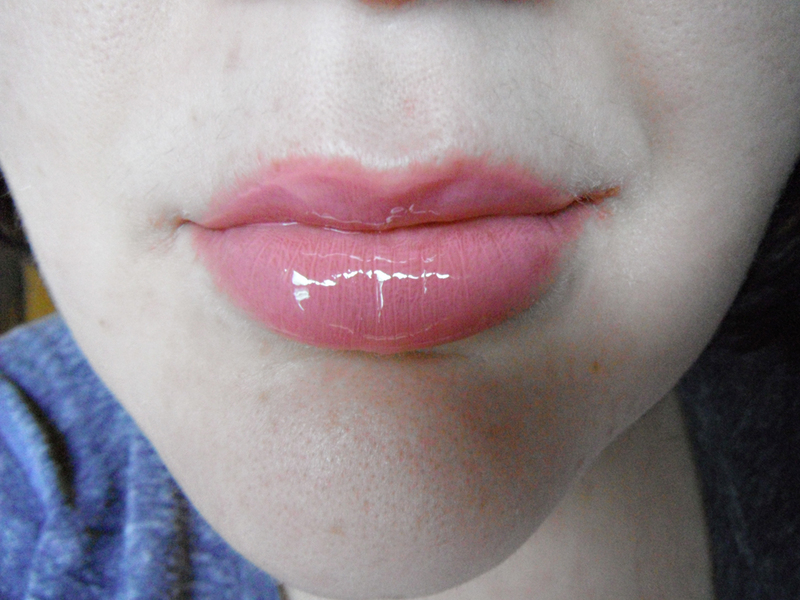 I found it to be pretty long lasting for a gloss - it lasted through a meal and a few hours of wear before needing reapplied. I found it to be pretty moisturizing, and it felt nice on my lips. These are lip glosses...you're not going to put them on and say "Sweet heavens, I never knew lip product nirvana until this moment!" but for the price, they are definitely worth it! I have no complaints about this lip gloss and plan to pick up a few more shades. Also, stay tuned, because I'll be sharing their lipsticks, shimmer powders, and nail polishes with you soon! Have you heard of J.Cat yet? You can check out their products at their website or follow them on Facebook if interested! Disclaimer: I received products free of charge to review. I was not compensated for this post and all opinions are my own.